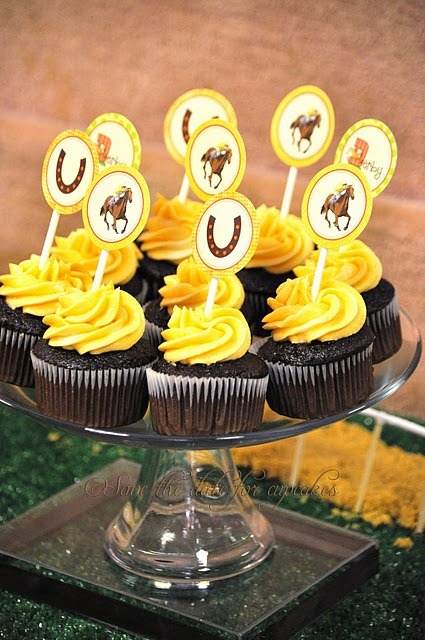 Our friends at Save the Date for Cupcakes recently hosted this Kentucky Derby soiree…and came up with some amazingly creative ideas for the party! 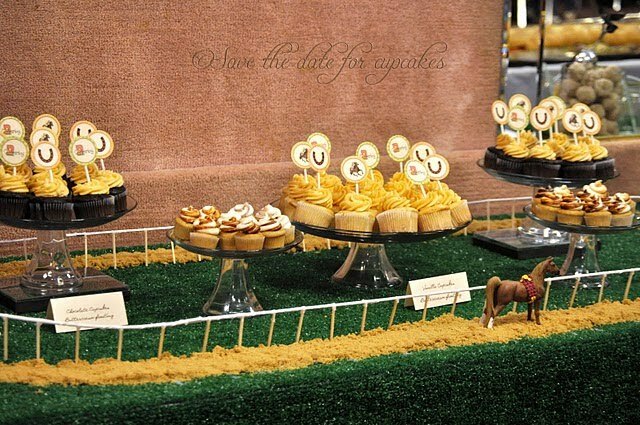 This dessert display absolutely made me smile…the horse track is an astroturf tablecloth with brown sugar sprinkled around for dirt. The cake stands were put around at varying heights, and the cupcake toppers were a free printable file from Pluff Mudd Studio. Definitely a party idea to keep in mind for the next derby! 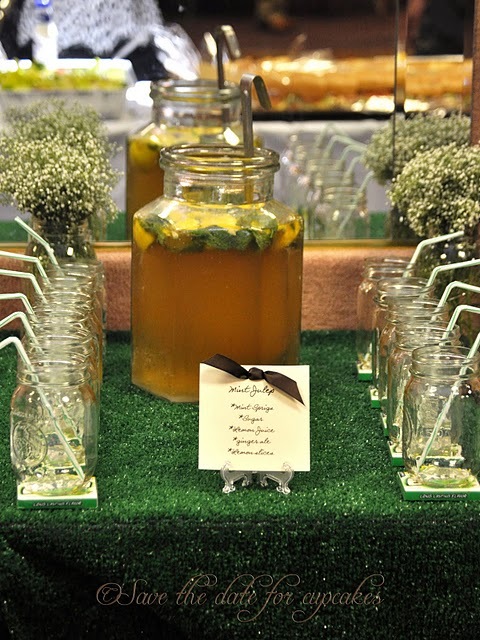 The traditional mint juleps were served in mason glass jars. Love these party-themed sugar cookies! 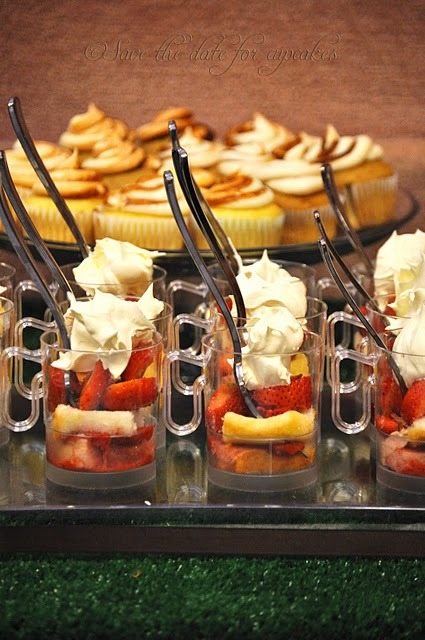 And who doesn’t love individual miniature desserts? Beautiful presentation and really unique details! how did you make the fence around the green track for the Kentucky Derby party? I am having a Derby Party! 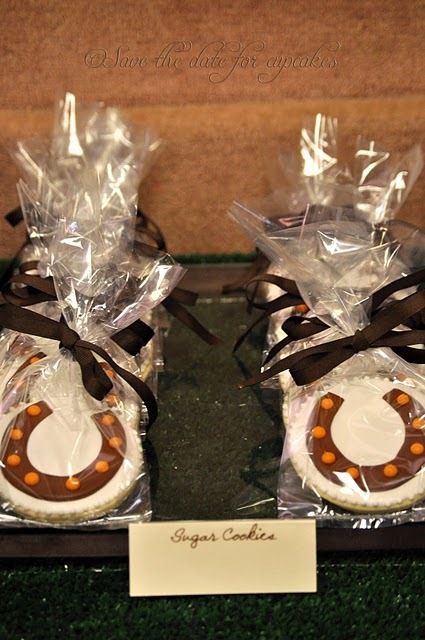 I would love to have some cupcakes …… an horseshoes cookites….